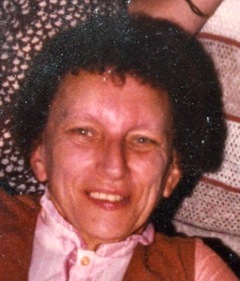 Hazel L. Catalone, 84, a former resident of N.W. 9th St. and a resident of Co. Rt. 29, Oswego, passed away, Tuesday, August 17th, 2010 at home. Born in Oswego, she was the daughter of the late Mathis and Martha (Northrup) Boome. Hazel was employed as a LPN at the Oswego Hospital for 25 years where she was the charge nurse on the pediatric floor. She was an avid BINGO player at the Oswego Moose Lodge and was a devoted mother and grandmother. Surviving is one daughter, Faith Scheirer of Oswego; one son, Joseph (Jane) Catalone Jr. of Oswego; one brother, Calvin (Jean) Boome of Oswego; seven grandchildren, Cussie (Jody) Catalone, Michael (Jennifer) Catalone, Martin Catalone, Matthew Catalone, Faith Cook, James (Evelyn) Scheirer and Kenneth Scheirer. She was predeceased by her husband, Joseph Catalone Sr. and a brother, Charles Freedon. Funeral Services will be held 9 a.m., Saturday at St. Josephâ€™s Church, Oswego. Burial will be in Minetto Cemetery. Calling hours will be held 4-7 p.m., Friday at the Nelson Funeral Home, 11 W. Albany St., Oswego. Joey, Cookie, and to all of Aunt Hazel’s grand kids and family I would like to extend my sincere sympathy to each and every one of you! It’s always hard losing a loved one but do take comfort in knowing she is finally with Uncle Joe and is no longer in any sort of pain. You are all in my thoughts and prayers at this very difficult time.